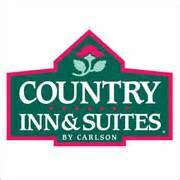 Welcome to Country Inns & Suites. 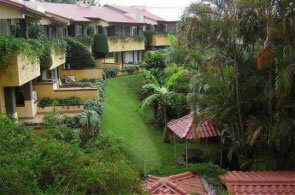 Located in beautiful San José Costa Rica, just 10 minutes away from the Juan Santamaría International airport, and just 15 minutes fro downtown San José; centrally located for both business and leisure activities. 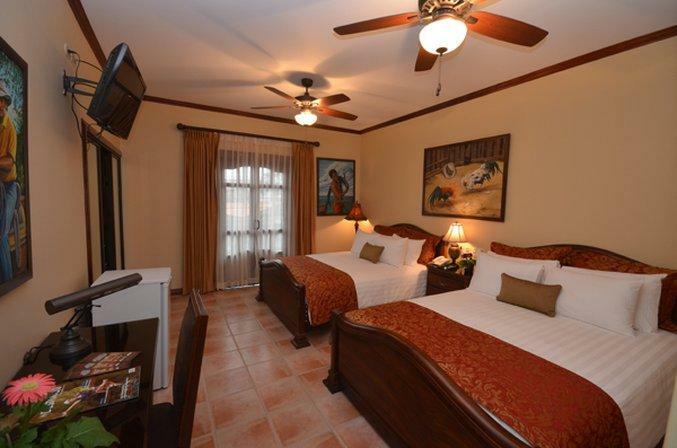 The Country Inn & Suites is pleased to provide all guests with cozy, comfortable lodging in San Jose, surrounded by a lovely tropical atmosphere. The hotel features rooms and suites for every occasion, whether you are planning a brief or extended stay. Guests are provided with a number of amenities to ensure the feeling of home, including air conditioning, cable TV, coffee maker, laundry service, telephone, hair dryer, iron/ironing board and much more. 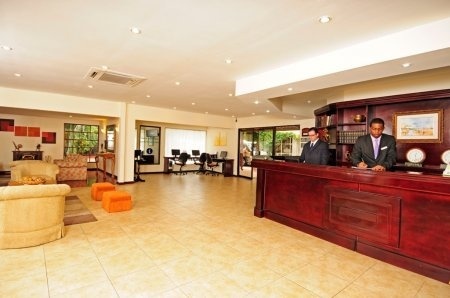 The Country Inn & Suites hotel in San Jose, Costa Rica is proud to feature Mambi Restaurant. This on-site restaurant overlooks our San Jose hotel’s lush gardens and lovely outdoor pool, creating the perfect atmosphere to enjoy a meal. The Mambi Restaurant is open for breakfast, lunch and dinner and features Costa Rican and American dishes sure to please. 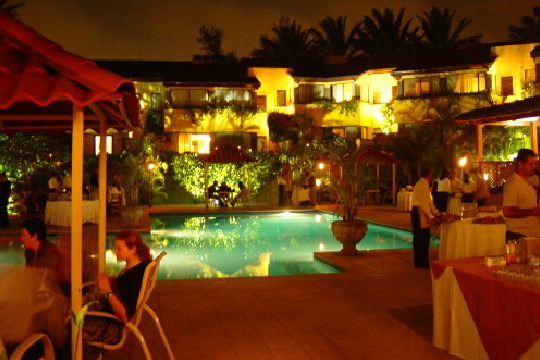 If you’re out and about, our hotel in San Jose is also convenient to a variety of local Costa Rica restaurants. With all of the services available at the Country Inn & Suites, guests of our San Jose, Costa Rica hotel are sure to feel relaxed and at ease. Sunbathe by one of our two luxurious outdoor pools, enjoy a workout in our Fitness Center, stay connected with complimentary Internet access and be sure to visit our gift shop. The hotel near the Costa Rica International Airport may also request transportation to the airport, and we’re pleased to offer currency exchange for your convenience. Call us today to make your San Jose hotel reservations! 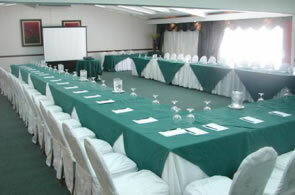 If you are looking to hold an event in San Jose, Costa Rica, the Country Inn & Suites is a great place to start. With four well-appointed meeting rooms with a capacity of 300 people its ideal for meetings, events, receptions and weddings.